As the pioneer in alternative unemployment insurance products, UC Assure offers an unmatched level of experience and expertise on unemployment compensation for Non-Profits and public employers. Among our innovative unemployment insurance products is a fixed rate program, the rates of which are determined by your own non-profit organization’s claims history — not everyone else’s. For years, state unemployment tax systems have pooled taxes paid by all employers in the tax system to fund each state’s unemployment compensation programs. In practice, this means that employers wind up paying unemployment benefits for companies that require more unemployment compensation than their share of the tax covers. to finance their own unemployment obligations independent of the state unemployment tax system. This allows these groups to explore financing their unemployment benefits with more affordable methods without the socialized costs of maximum rated employers and bureaucratic overhead of the unemployment system. 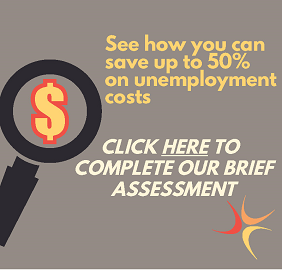 With UC Assure, your non-profit transfers part or all of your unemployment risk to our expert insurance team, often saving you 50% or more over the state unemployment compensation tax system. We’re the only insurance company providing first dollar coverage directly to you. In addition to the savings benefits realized over state unemployment compensation programs, there are several significant differences between UC Assure and any other option available in the marketplace. Don’t be fooled by other options you may see in the marketplace. With many of these other options, members are ultimately responsible for the entire organization’s unemployment liability, or may have only a pooled insurance cover many times in excess of expected costs. This often causes members to find themselves without sufficient financial reserve levels to accommodate their unemployment claim obligations. In these situations, the risk and liability lie with the non-profit organizations. With UC Assure, your organization can benefit from unparalleled coverage of your unemployment program and take on minimal liability in the event of unemployment compensation claims. This not only safeguards your organization’s future, but also makes budgetary planning a little easier today. Click here to find out the types of organizations who already benefit from coverage with UC Assure — and how you can begin.